Recently I have discovered this great little site to stay in touch with people from all over the world! It’s called Facebook and we should all join to create one big happy community. It’s completely harmless fun! And so informative! We all know that the statement above isn’t really how it is, but the pros of the biggest social network in the world certainly seem to outdo the cons. Most of you would agree. Just like most of you use Facebook as a nice-and-easy way to share things and stay in touch. In touch with friends, family and with those we would have otherwise – in real life – unfollowed. Using Facebook is easy, fun, (somewhat) addictive, free and as weird as the people who use it! Just because it’s that pretty. Bon Iver @ AIR Studios. There are only a few things less controversial than graffiti (on public property, that is). Some find it a criminal act, some see it as art. Others see a bit of both. So before you make up your mind, it’s best to get informed. That is why I would recommend everyone to look at this classic documentary from 1983 called ‘Style Wars’. It’s about so much more than graffiti alone. I see it as a homage to art itself. Finding a way to express yourself in the midst of poverty and violence. Not only through ‘writing’ but also through dance and music. A true Hip Hop documentary. On top of that it’s a great timepiece of New York in the early 80’s. And to think all the people appearing in this film are now in their 40’s, 50’s and 60’s. It’s interesting to google them to see what happened. To show you graffiti is still very much alive I added the following documentary about the scene in Berlin (where else?) these days. Enjoy. Want to help preserve the Style Wars documentary for future generations? Go to www.stylewars.com and see what you can do. The romanticism of Vincent van Gogh’s work – to me – is undeniable. His paintings and drawings are great examples of someone who sees things differently . One of his most famous paintings is Starry Night (1889) and I believe it comes close to catching the beauty of a star filled night (the one you don’t see on E!). People these days look at starry skies way to little. But that’s a whole different story. Anyway, the video above is a interactive animation of this painting (you can look at the original painting in the Museum of Modern Art, New York). Animated by Petros Vrellis. Enjoy. Like that sentence? Me too. The forum is called ‘Solve for X’ and on their site you can listen to different speakers who talk about – and tackle – things that can and/or should be. So, no science fiction hocus pocus… really. Well, maybe a bit, but that’s where great idea’s can come from too. It’s thinking outside of the box that really brings us forward. I just love letters. Just letters, love letters… all of them! 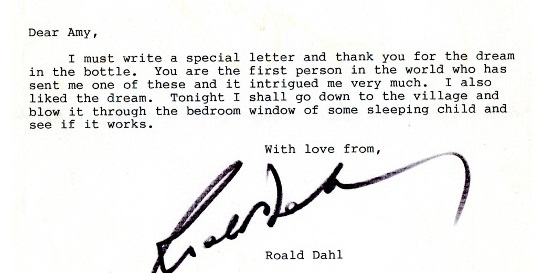 There is something magical about letters that email cannot offer. Forever lost when a shoebox of memories is thrown away, instead of forever on some chilled servers in silicon valley. The history of correspondence is almost as rich as modern history itself. Most letters are quite personal too. So, if you aren’t a big writer yourself (or born in the 90’s), chances are you missed out. That’s where the site Letters of Note comes in. It’s dedicated to give you ‘correspondence deserving a wider audience’. And that’s about as broad as you can get. From replies to fan mail (Lennon, Iggy Pop, Conan) to correspondence between ‘famous people’ (Bob Dylan and Jeff Buckley) or an instruction to baseball players from 1898 to use less offensive language (see below). Well, you get my drift, there is a lot to read. Just wonderful stuff really. So if you’re ever in need of spending your time online, with this site procrastinating just got better. My personal favorite letter from the site is one with great historical value. A real important piece of history. It’s from a former slave who writes back to his ‘old master’ who requested him to come back and work on his farm. But don’t take my word for it: read it here! And don’t forget to keep writing yourself. Because the world would be much less interesting without (handwritten) letters, and – be honest now- who doesn’t get a wee bit excited when they find an old-fashioned envelope with your name on it on the doormat?